You can select the language used for all Visual LANSA dialogs, menus and messages the next time you log on. 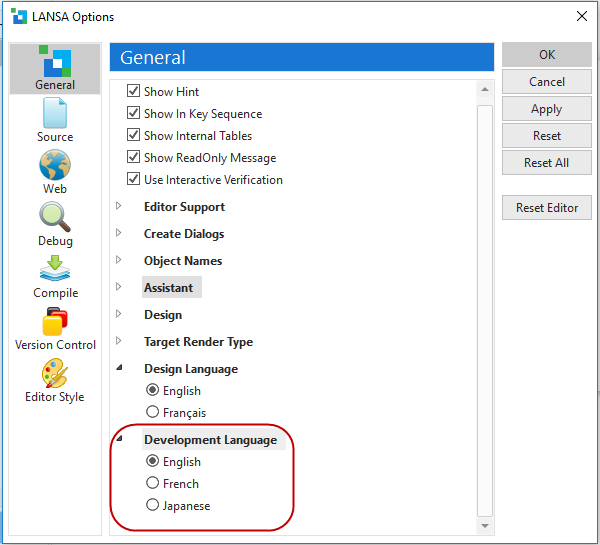 The development language can only be one of the languages Visual LANSA is enabled for. Note: The development language and the partition's design language need not be the same. The development language determines the language of the software development environment whereas the design view language specified for the partition determines the language for user display.